We pioneered the heavy harrow industry with the first solid mounted harrow drawbar in 1990. Today, we continue that tradition by manufacturing the most complete line of residue management toolbars and attachments in the industry. Our harrow drawbars range from the heaviest harrow on the market, with massive 5/8? x 30? tines and a 10? square, heavy wall toolbar, to the lightest harrow on the market, with 5/16? x 20? tines used in organic farming practices. The mounted harrows that we produce have been mounted on virtually hundreds of different tillage implements across North America, Europe, and Australia. They come in a variety of sizes and tine options, with numerous mount kits available to match your primary tillage line, as well as air seeders and secondary tillage equipment. In the 70s, my parents, Mike and Pat Gates, began developing equipment that didn’t currently exist, but was needed on our farm. Soon enough, other farmers saw this equipment and started requesting it for themselves…and Gates Manufacturing was born. 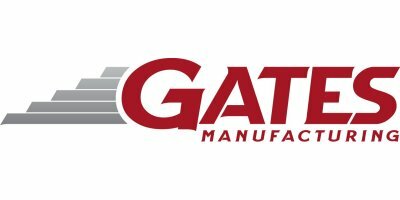 Since that point, Gates has built equipment with one simple philosophy: Build it to perform. Build it to last. Many larger manufacturers don’t stay current with what farmers need for today’s conditions and practices… but we do. We listen to farmers and design our products accordingly – just as Mike did when he made the original heavy harrow. It was the first of its kind in the industry, and other manufacturers followed his lead. Although we’ve grown to offer a full line of light tillage and attachment products, a few things have stayed the same over the years – like our values, our desire to help farmers and the family behind the company. As we move onto the second generation, we continue to design innovative equipment and put it to work across the U.S. and around the world. We’ve become a larger company in the process, but we still develop and test these products in our own backyards and on the farms of relatives, friends and the people who work for us. We don’t just put our names on the equipment. We stand behind it…just as we have for the past 30 years and will continue to do for the next 30.